Here in the Great Smoky Mountains, barbecue sauces (and their condiment cousins) are a dime a dozen and finding your favorite can be quite a culinary obstacle course. Need an assist? Head to All Sauced Up, a specialty foods store with more than 4,000 mostly Southern staples. And while the selection is eye-popping, what we really love are the samples. 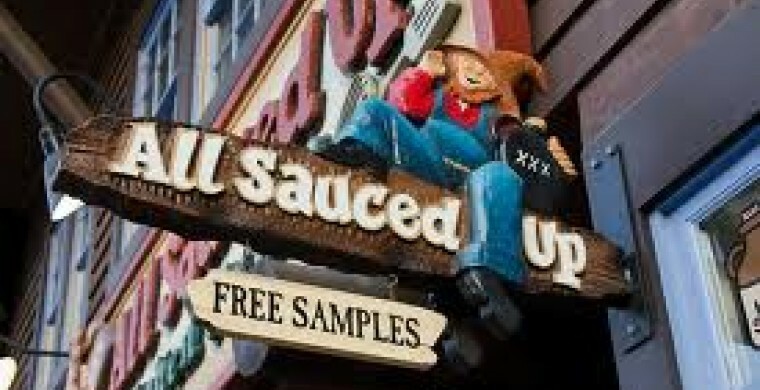 The folks here offer up more than 150 samples of jams, jellies, salsas, salad dressings, dips, and, yes, barbecue sauce every day – all so Gatlinburg hotel guests can go home with tasty reminders of the East Tennessee vacation. To get you started, here are a few of our favorites...Moonshine Jelly, Slap Ya Mama Cajun Seasoning, and Spontaneous Combustion Peanuts.